EARLY BIRD FREE TICKETS HAVE ENDED. KATRA HALLOWEEN PARTY – DOWNTOWN NYC - HOTTEST HALLOWEEN DOWNTOWN PARTY NYC WITH THE HOTTEST COSTUMES! 2 FLOORS OF HALLOWEEN TERROR! MUSIC BY NYC HOTTEST DJS AT KATRA NYC IN DOWNTOWN! HALLOWEEN IN DOWNTOWN NYC PARTY ! TICKET EVENT 21 & OVER! 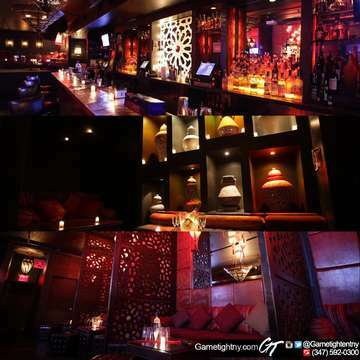 HALLOWEEN PARTY @KATRA LOUNGE IN DOWNTOWN NEW YORK CITY, NY! CAPACITY EXPECTED! PRINT YOU FREE TICKETS! EARLY BIRD SPECIAL! MUST HAVE COSTUME!! LIMITED DEAL SO PRINT TICKETS NOW!! Katra NYC Halloween Dress Code: Its Halloween – be creative! Costume is HIGHLY RECOMMENDED! Katra NYC Halloween Music Type: Best of Hip-Hop, Reggae, Latin, House, Dance, Top 40 & more! Katra Lounge NYC Halloween Bottle Packages: 2 Ciroc Bottles for 400$ (add 50$ for Hookah & Champagne) Other Bottle Prices available by request. Tickets are going to be worth more later so we highly suggest you to print them now. (OPTIONAL) AFTER PURCHASE COURTESY NOTE: PLEASE CALL/TEXT US AT (646) 220-8460 OR (347) 592-0300 TO CONFIRM YOUR PURCHASE! RECAP OF LAST YEAR AT KATRA NYC!